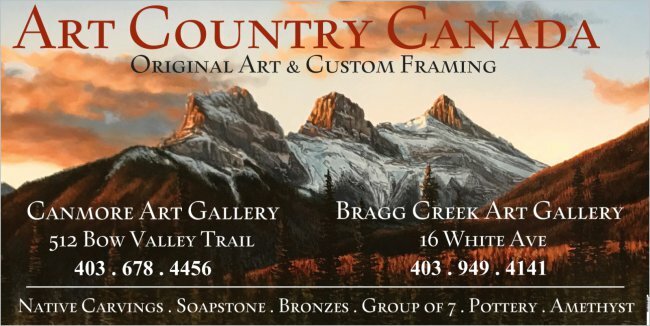 We represent the entire collection of Edmond Albert artwork. Born in Montana in 1959, Edomond was the fourth of ten children. His mother is Ojibwa from Great Falls and his father is Cree from Sweet Grass Reservation in Saskatchewan, Canada. Raised in a village outside of Great Falls the people were referred to as "Landless Indians." Their village lacked many modern day essentials. There was no running water, indoor plumbing or heating. Edmond originally planned to make his career in the forest service. However, after many years as a firefighter in Montana he felt compelled to return to school. In 1987, he enrolled in an art class and rediscovered his natural ability and true calling. For the next ten years he honed his talent by drawing images from master prints and early photographs of North American Indians. 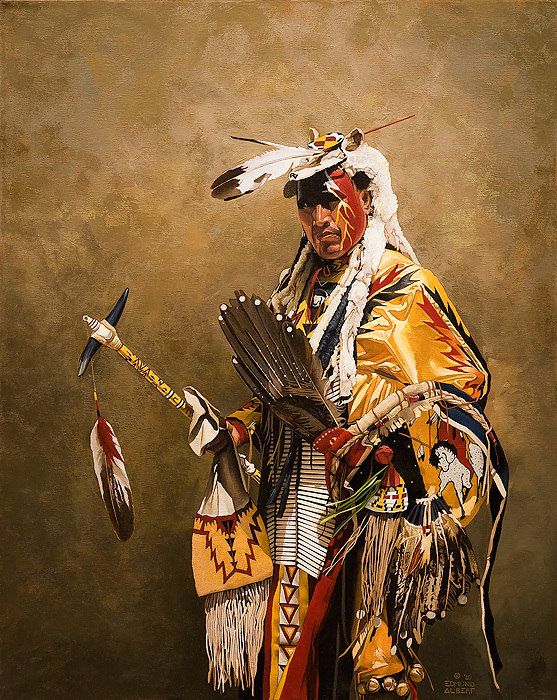 Since 1989 he has entered and won numerous Best of Show and People's Choice awards at the Great Falls Native American Art Show. 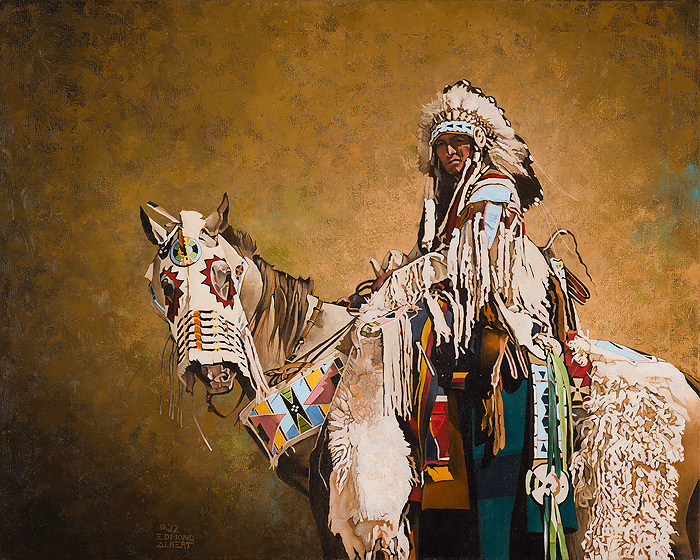 Already a self taught painter, in 1998 Edmond decided to attend the University of Nevada Las Vegas majoring in art and minoring in art history. 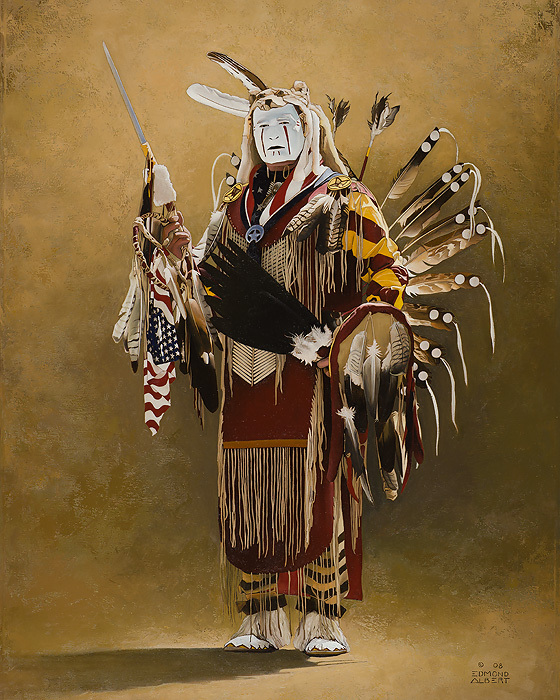 Today, many of Edmond's compositions are of the ceremonial dancers he meets when he attends Pow Wows in the West. He is moved by the expressive faces and elaborate costumes of the various tribes. This blend of old world and contemporary/traditional Native American dance recalls a time of bygone artistry.
" CROW AND HORSE "